The story of the Premier League this weekend, told in five goals. Get some. What’s noteworthy about the goal is that it sealed the “away” victory (the Etihad is all of five miles from Old Trafford) for United, putting them six points clear at the top of the Premier League table. For Roberto Mancini’s defending Premier League champions, that’s now one win in six (in all competitions), and that win came against Wigan (though, to be fair, the losses and draws came against some of the best teams in Europe — Chelsea, United, Real Madrid, Borussia Dortmund, and Everton). What was hilarious about the goal is that it was basically Samir Nasri’s fault. For Arsenal fans, the Manchester Derby was akin to watching all of your ex-lovers sit around a table and talk about how mediocre you were in bed, while lighting money on fire. The match featured four ex-Gunners on the pitch — Kolo Toure, Nasri, van Persie, and Gael Clichy. To see Nasri bail out on van Persie’s free kick, confusing goalkeeper Joe Hart with a deflection in the process, must have provided a little bit of comfort to Arsenal supporters. As would Mancini’s post-match comments. The City manager had this shade to throw: “In the last free kick, we put only three players there … Were there three? We had two and a half. 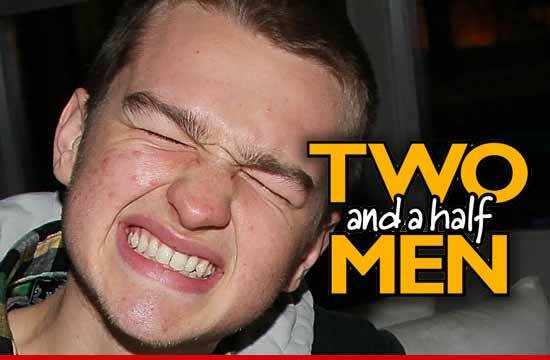 We didn’t cover very well.” You are Angus T. Jones, Samir Nasri. I’m sorry. Cole had reason to celebrate though. Necessity is the mother of invention, and Liverpool’s thin squad has meant manager Brendan Rodgers has had to do some creative team-sheet decorating (hence Stewart Downing, left back). It’s meant something of a brief renaissance for Cole, one of the most technically gifted and injury-prone players of his generation. The 3-2, come-from-behind win at West Ham put Liverpool back in the top half of the table. It was a pretty great weekend for comebacks, and holding off comebacks, and late-game heroics. Outside of the two obvious matches (City-United, Everton-Tottenham), there were some real mid-table fireworks between Norwich and Swansea. Two of the surprise success stories of the season produced a seven-goal thriller. This goal, from Canadian-born midfielder Jonathan de Guzman, was part of a furious Swansea comeback effort, one that fell just short. I love how this is the product of so much good fortune: Nathan Dyer beating out Javier Garrido down the flank, Dyer’s hopeful, lofted cross into the box, the lousy clearance by Norwich, and the perfect strike from de Guzman. One more from the Manchester Derby, notable for the fact that this was Rooney’s 150th Premier League goal. This one is especially worth watching because United have the most beautiful counterattack in the league right now. Even if Rooney sort of shanks the actual goal, the interplay between van Persie, Ashely Young (who might have had one of his best games in a United shirt on Sunday), and Rooney is something to really cherish. Tottenham might have too many tweeners. Moussa Dembele, Tom Huddleston, Gylfi Sigurðsson, and Dempsey. There’s a lot of skill, flair, mouth-watering passing, cutting in from the flanks, and drifting in between lines. They probably need one more Sandro, and when Scott Parker had more than one working ankle, they had two. With the players, heartbreaking works of staggering genius like the above goal will happen from time to time. So will giving up two goals in injury time to a relentless Everton. Great Fulham Goals #1 – Clint Dempsey from Fulham FC on Vimeo.